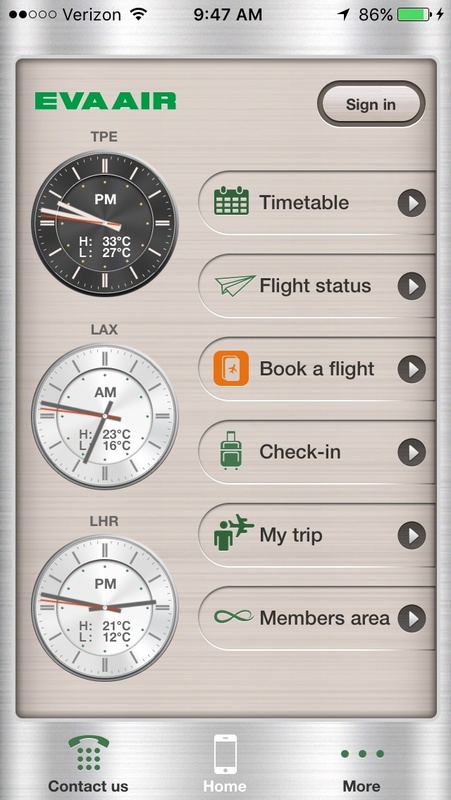 EVA Air provides an iOS app that is compatible with iPhone, iPod, and iPad. As a member of EVA Air Infinity MileageLands Program (and we always recommend joining loyalty programs, you can use the app to manage your account, view upcoming reservations, and more. As the most popular mobile platform in the world, EVA Air has taken notice of Android and provided an app for most Android devices. As you might expect, the Android app from EVA Air has the same familiar functions as the iOS app. Instead of downloading the mobile app, you can try visiting the mobile website of EVA Air to find flights and manage reservations. Click here for their website.